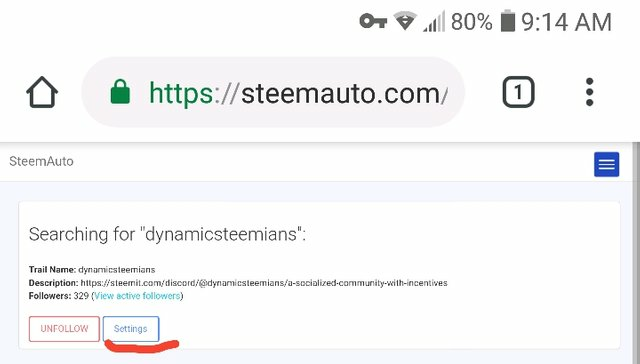 This post will be an overview of how to properly follow the @dynamicsteemians curation trail. 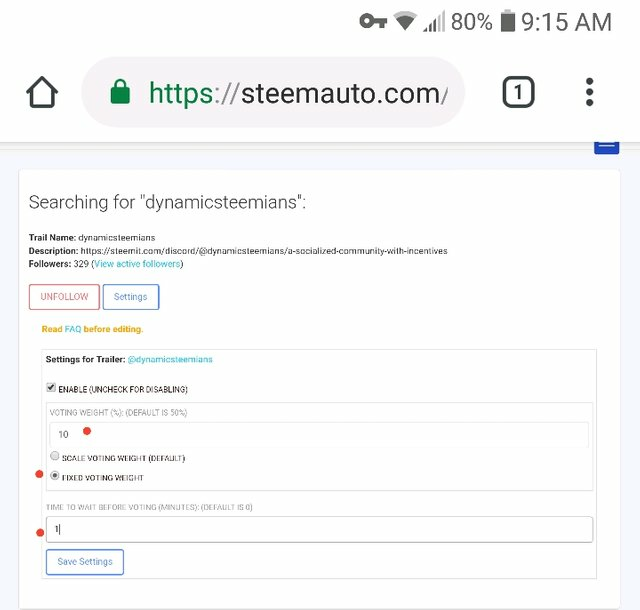 The @dynamicsteemians has a curation trail on https://www.steemauto.com. 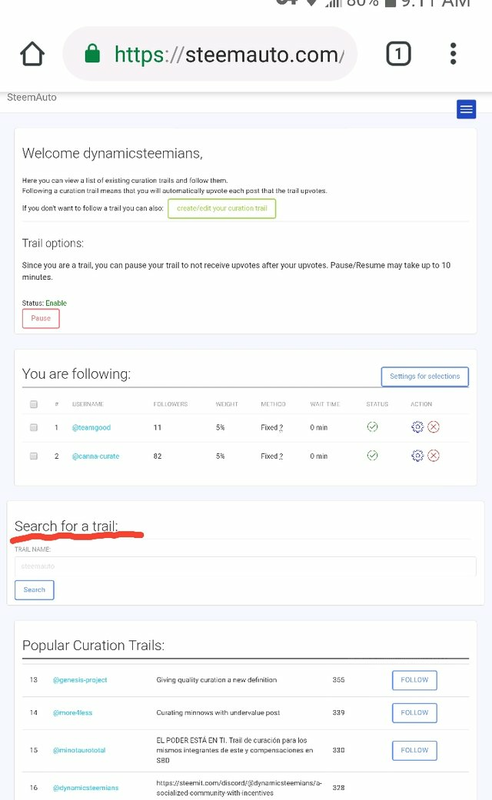 For a better user experience when joining our trail, we do not want your Voting Mana drained and we want you to gain curation in addition to our vote support from our group vote and @dgi, so it is important to follow these instructions. 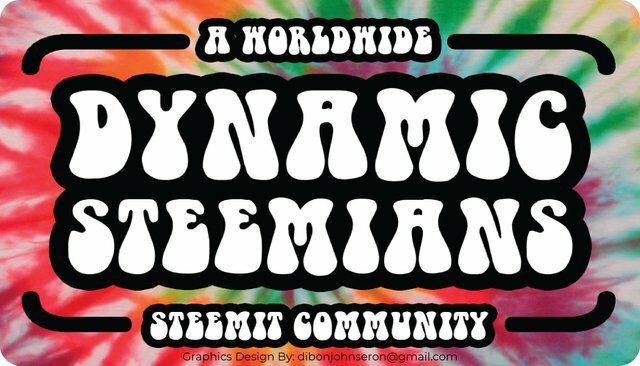 You must be actively voting with our curation trail @dynamicsteemians to receive vote support back. 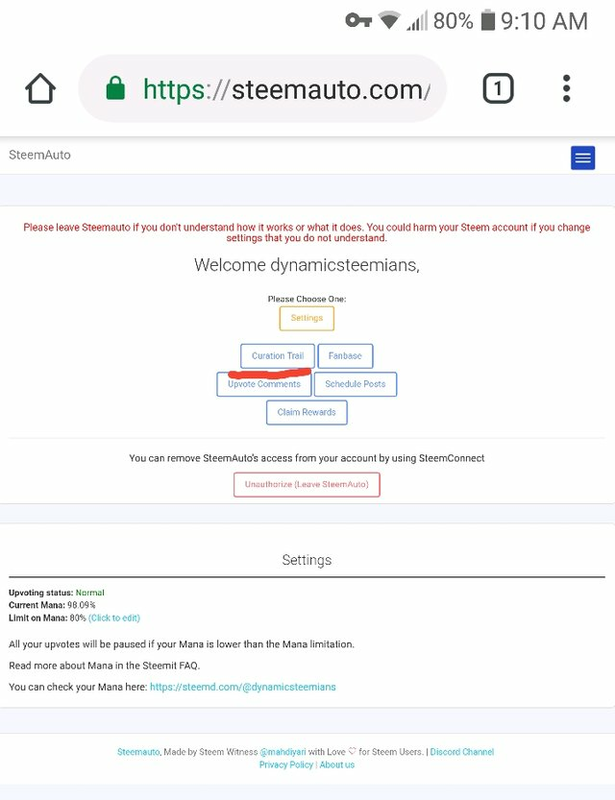 Use https://www.steemworld.org/@(steem account name) to compare your votes with our groups votes to see if they are being casted with us. 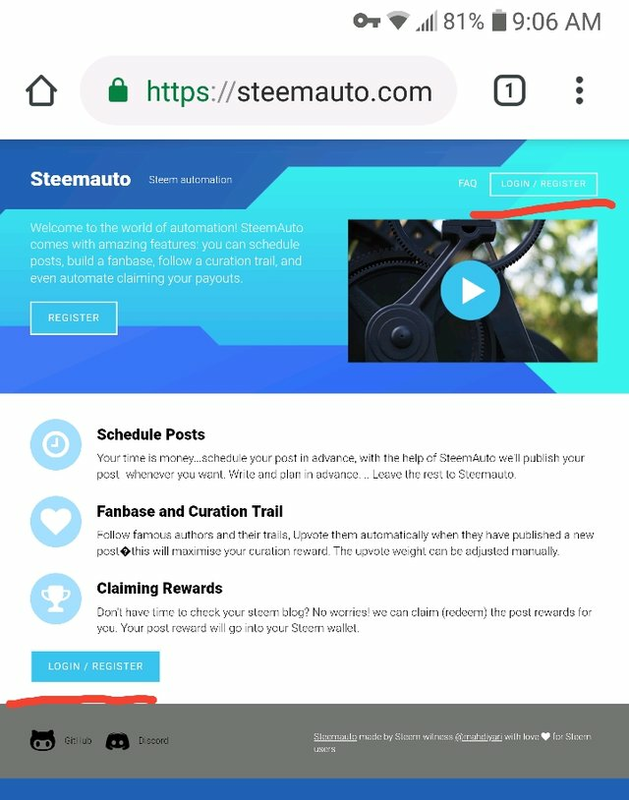 Once you have finished setting up your account with this post. We must check our settings first. 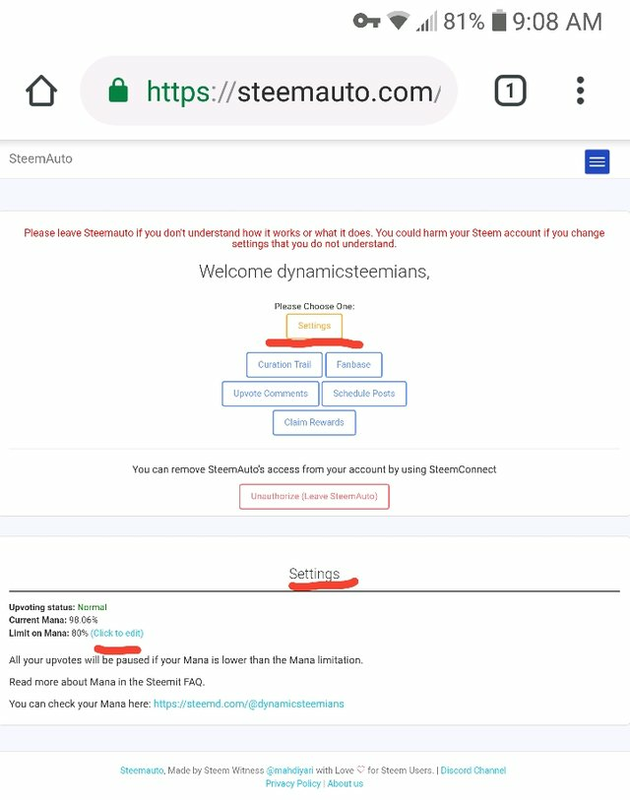 the @dynamicsteemians votes at 11 minutes on its members who are actively voting. 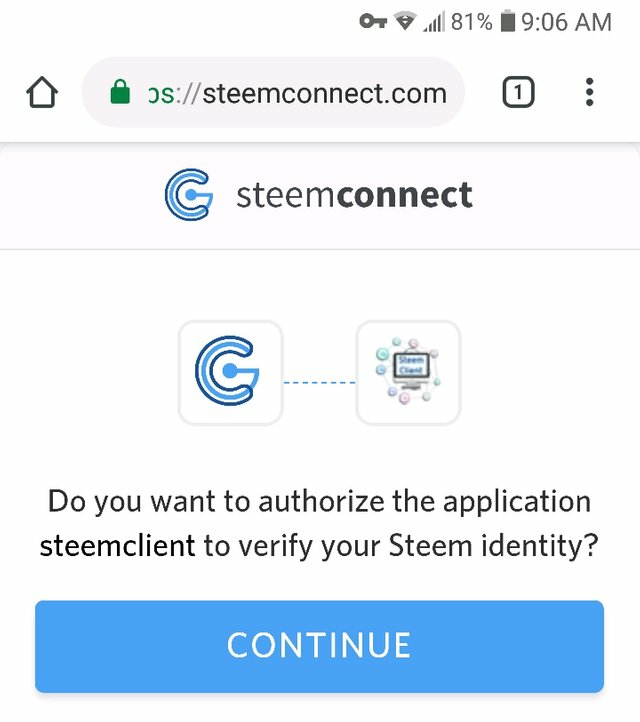 Low Steem Power(100sp or less) accounts should vote at 0 minutes. 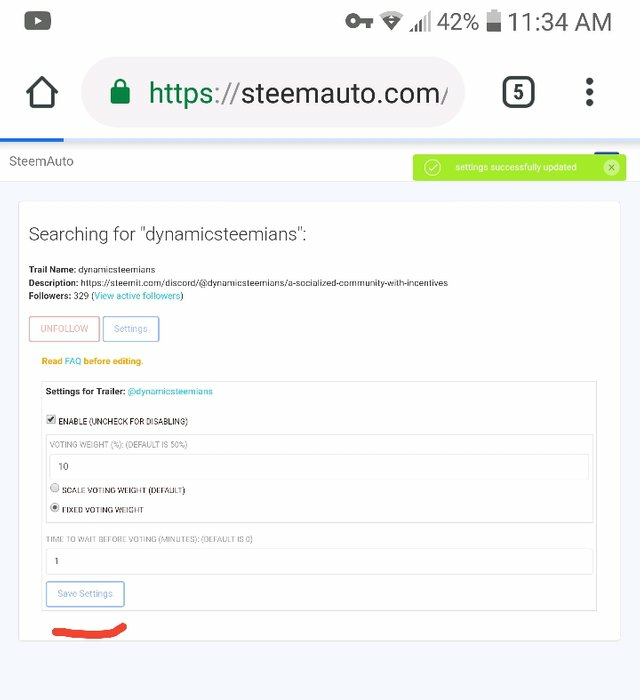 High Steem Power(100sp or more) at 4 minutes mins. 20% FIXED if your do not vote other than automatically with our trail account. 5% FIXED if you still manually vote a lot. 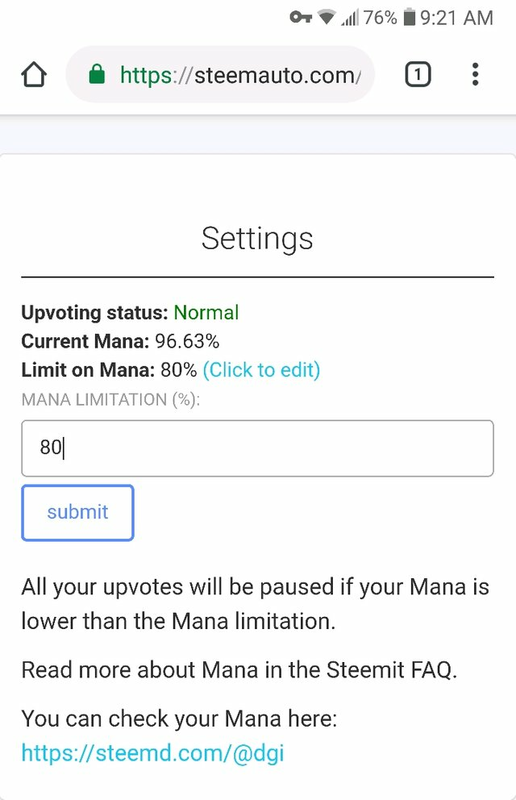 10% Fixed if you moderately vote or is able to scale your vote thus managing your mana more effectively. I think it is a good strategy to keep your vp around the mid 90% range to allow for better curation in the long run. 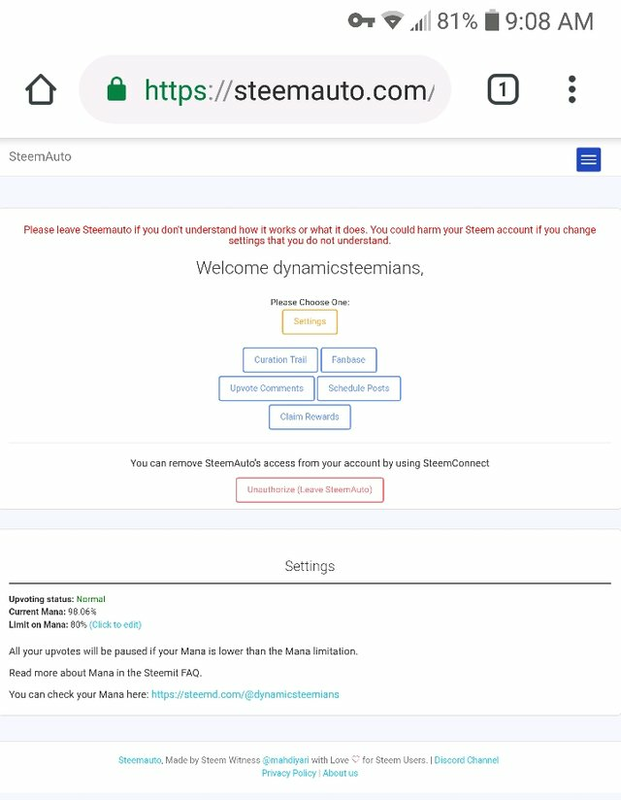 check Mana and account stats via https://www.steemworld/@(Steem Account Name) or Steemd. This will be a companion post of a upcoming 'Master Overview' post for The @dynamicsteemians. Now I understand. 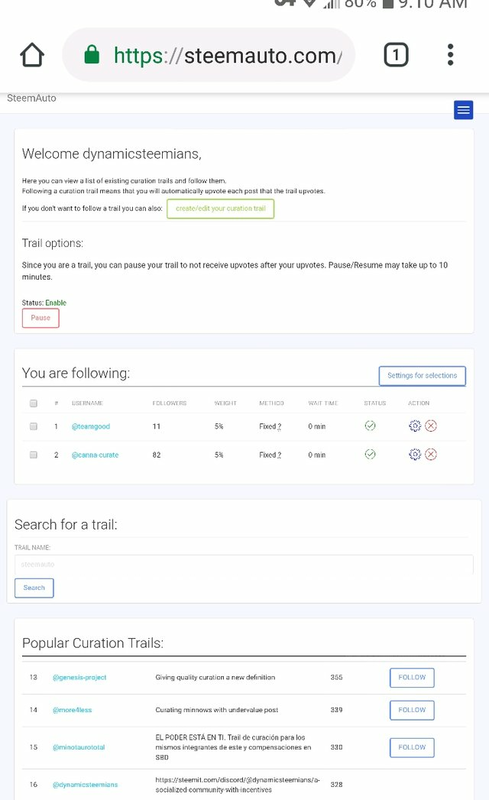 I am quickly join your trail. 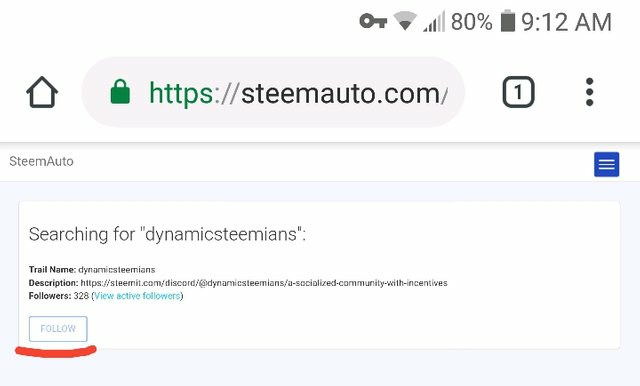 @dynamicrypto, Hope that more and more Steemians will going to join and i want to say that, I've found it really beneficial, saying it as per my first day experience. Keep up the great work brother. You were recommended to me by @crypto-piotr and I loved reviewing his delegators feed. I am just sopping here to leave some support and say that I'd be glad to foloow you.